Mamma Mia!! That’s a spicy meatbawlla!! 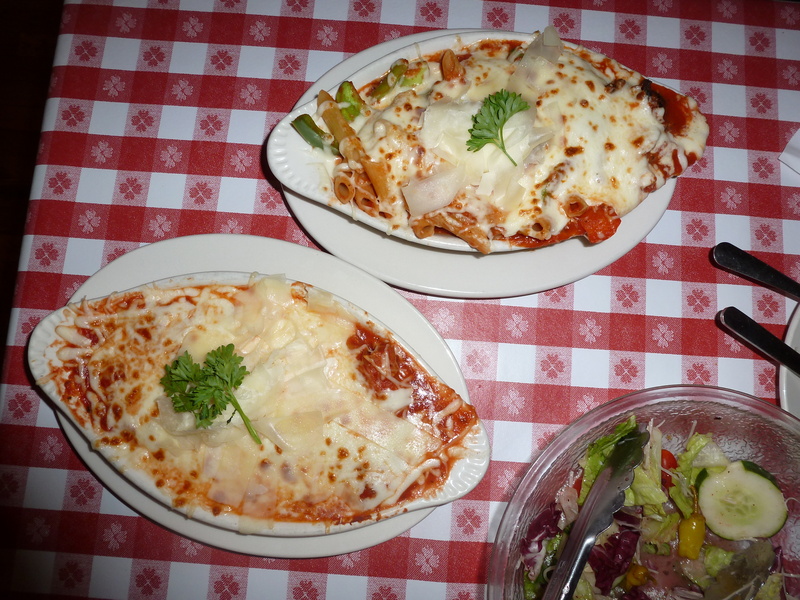 So we continue today with the second, in a series of three, of the award winning “Eatin’ Our Way Eastward.” Todays installment…”Mamma Mia!! That’s a spicy meatbawlla! !” which is a common saying in the state of Illinois for whatever reason. Honestly, I’ve never investigated it very thoroughly since I don’t “do” details very well. 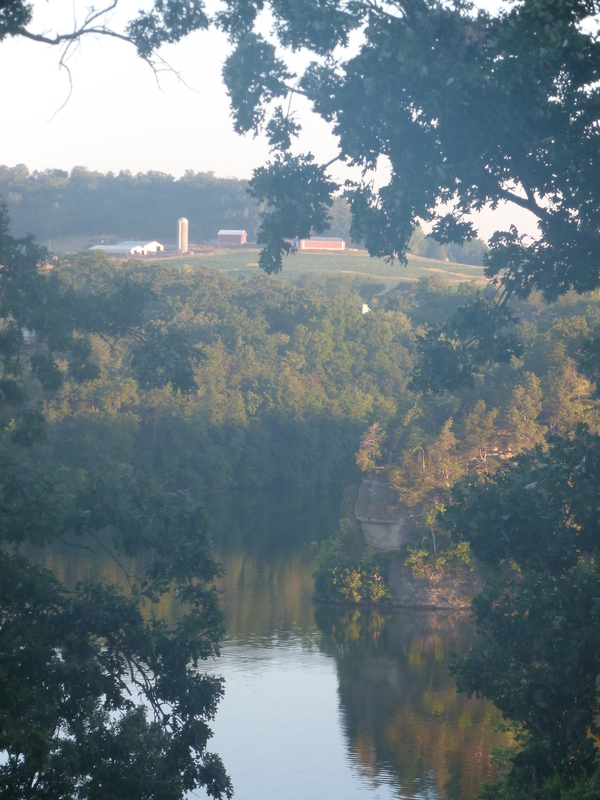 Anyway…we stayed at Eagle Ridge which is a couplea miles east of Galena. For the most part its several golf courses set around a man-made lake and plenty of beautiful scenery. Below is the view off of our deck, which was a great place to have my first cup of coffee. N.T.S. (not too shabby) Great place to have my morning coffee, read a devotional and do my Bible study. We made our way into Galena and stopped by the Victory Cafe in the old part of Galena. It’s a cool old fashioned cafe/diner, the only thing missing was a waitress named “Flo” with a beehive hairdo. Our waitress was plenty sassy enough with her coworker, but fast and efficient. I had one blueberry pancake. One. It was the size of a hubcap from a ’72 Ford LTD, but didn’t taste like one. Delicious. We skipped lunch since breakfast was so filling. The story of the guy that started Galena Canning is pretty cool and I’ve attached a link to his website so you can read it after you’ve finished reading this blog. After. I’ve had some of Chef Ivo’s products before and found them to be, in a word, fantastic. As you look at the below photos you’ll notice all of the “sample bars” of his products so that you can try most of his inventory prior to purchasing it. I’m in the retail trade and know how difficult it can be to “do” this business the way it should be done. It’s hard to do correctly, but the great ones make it look easy…like Galena Canning and Chef Ivo. I originally set out to buy just a few items but actually spent about three times that since I could try his products. 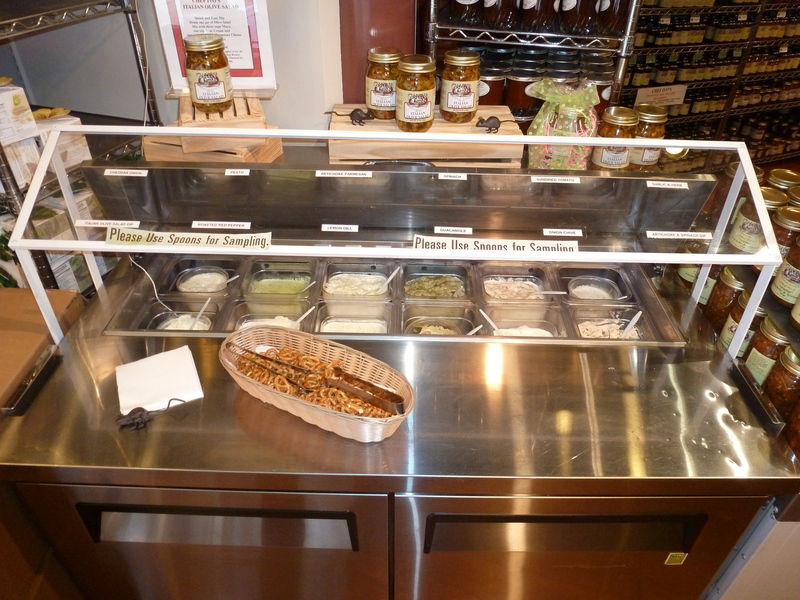 Neat and clean with plenty of fresh, delicous samples that you can spoon onto a pretzel or tortilla chip. 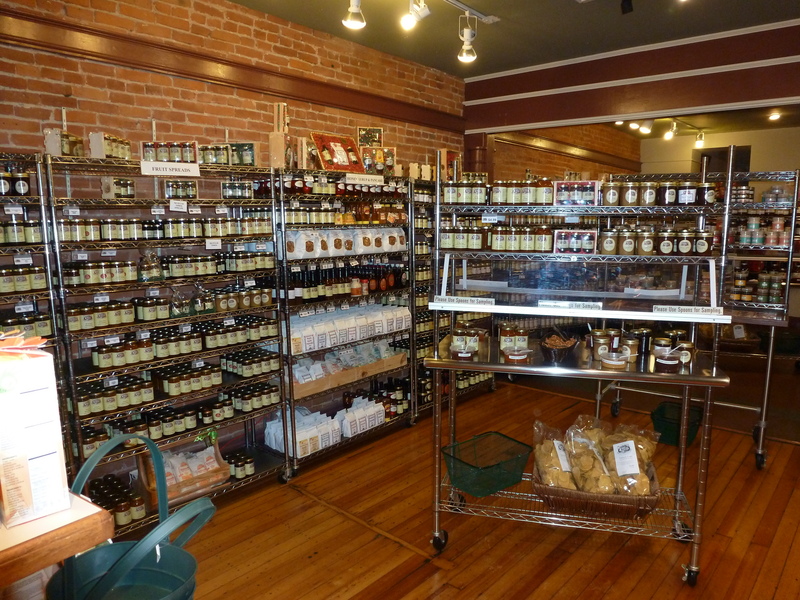 Well displayed and delicious salsa, pie filling, ice cream toppings, BBQ sauces, rubs, olive oils and much more! I would’ve posted a few more photos but it would be of more jars filled with great tasting food from Chef Ivo. I spoke with him for a couplea minutes. Big guy. Great story-teller. Real personable. He’s doing so well with the business that he’s opening a restaurant over a local winery where you can enjoy his wares. You order it, they cook it, you take the food up to a “condiment bar” and put any of his sauces or rubs on it that you like! I’m coming back just for that! 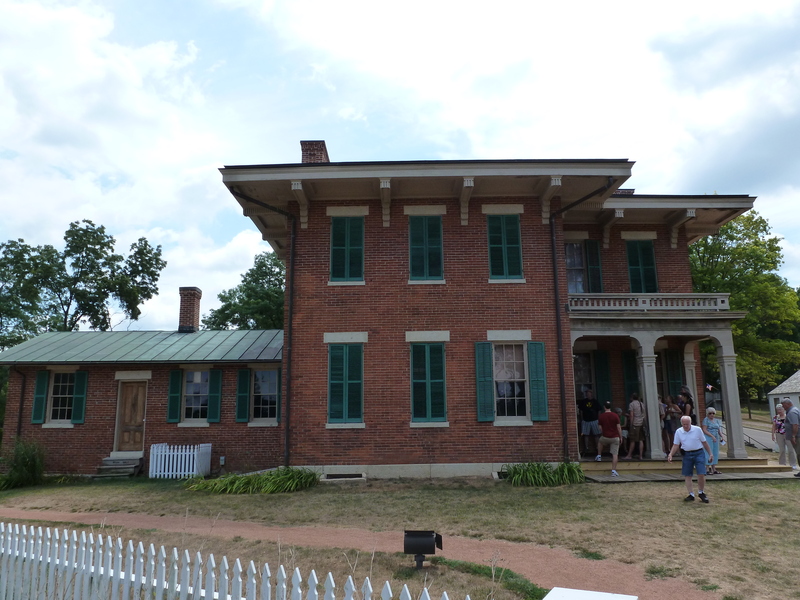 We spent the other part of our day touring President Grant’s former home in Galena. Home given to General Grant (at that time still “just” a General) by a few of the more promiment citizens of Galena. Thank goodness that they added A/C since! 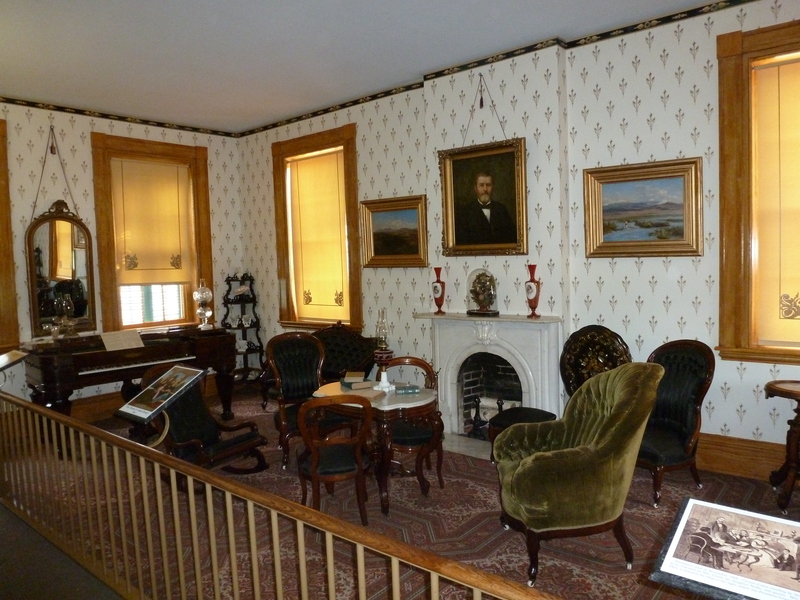 The “sitting room” of former President Grant’s home. If you’re like me you probably noticed the fence running the length of this room. I can only speculate that it was to keep the livestock off of their good furniture. Hogs, chickens and cattle are notoriously hard on good furniture. Don’t even get me started on goats. 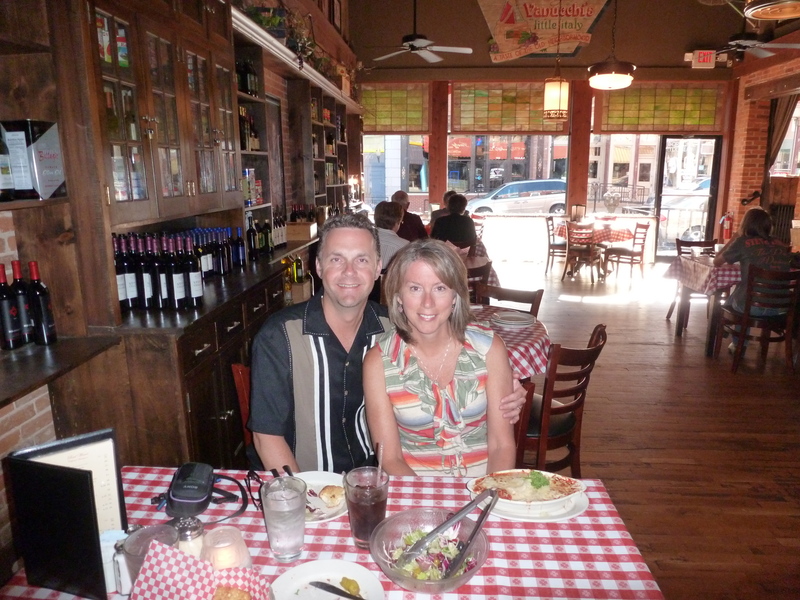 That night we traversed back to Dubuque to eat at Vinnie Vanucchi’s Little Italy. We had so many of our friends tell us about it we couldn’t resist trying it. It was FANTASTIC! Connie had the baked lasagna while I had baked ragu. Too much food for one meal and the place had an excellent old timey feel to it…if you’re in to stuff like that. Connie and I at Vinny Vanucchi’s in Dubuque. There’s a V.V. in Galena as well. Top notch vittles with a pretty girl! Here’s the link to Galena Canning Company. Check it out if you like. Chef Ivo’s story is a neat one. Click on the “About Us” tag on their website and you’ll read about his story. From being a private chef of the Chairman of the Board of the U.S. Federal Reserve Banks, to cooking for U.S. Presidents, to buying and running a bed and breakfast in Galena with his wife to canning his intial offerings of salsa and selling them at a farmers market.